We have a REALLY fun house tour for you all today! 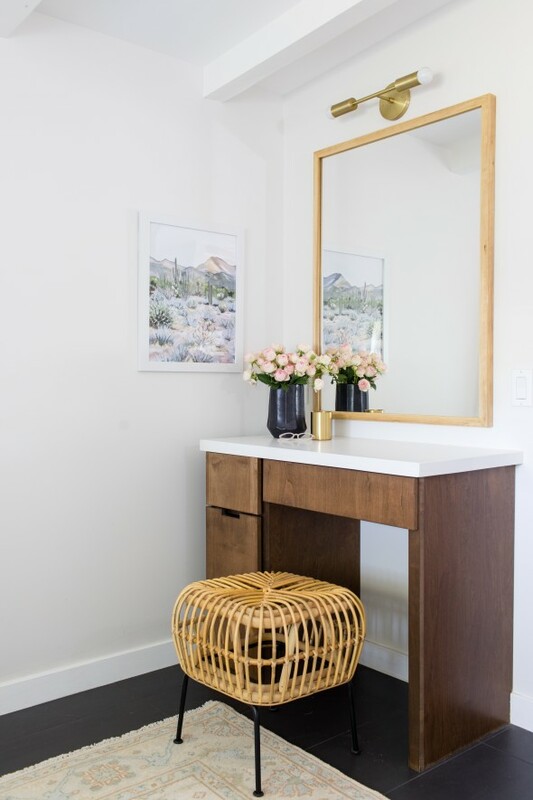 Our friends, Haleigh and Scott, the owners of the Park Haus in downtown Gilbert, have remodeled and now live in a total gem of a midcentury modern home here in Arizona. 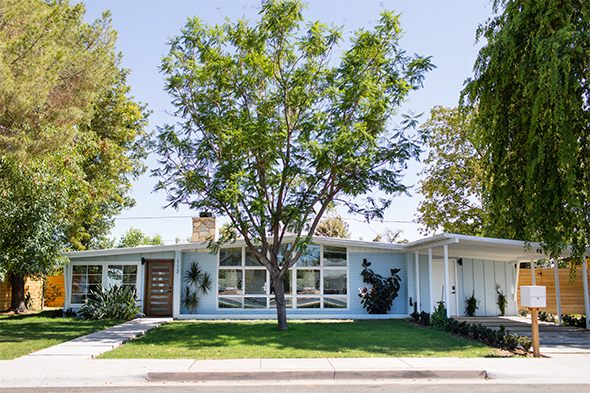 They made SO many wonderful choices with the design of this home and the exterior selections are especially spot-on! The powder blue paint color was a bit of a risky choice, but I think it’s unique and completely architecturally appropriate! 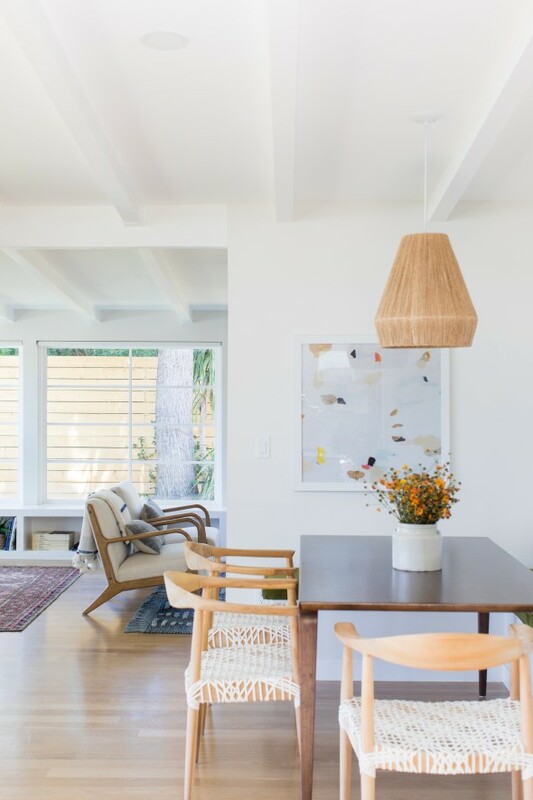 Inside, the homeowners really played up all the light they get from their amazing windows by installing unstained white oak floors and creamy white walls. We hung one of our newest prints Counting Sheep from Jenny’s Print Shop. 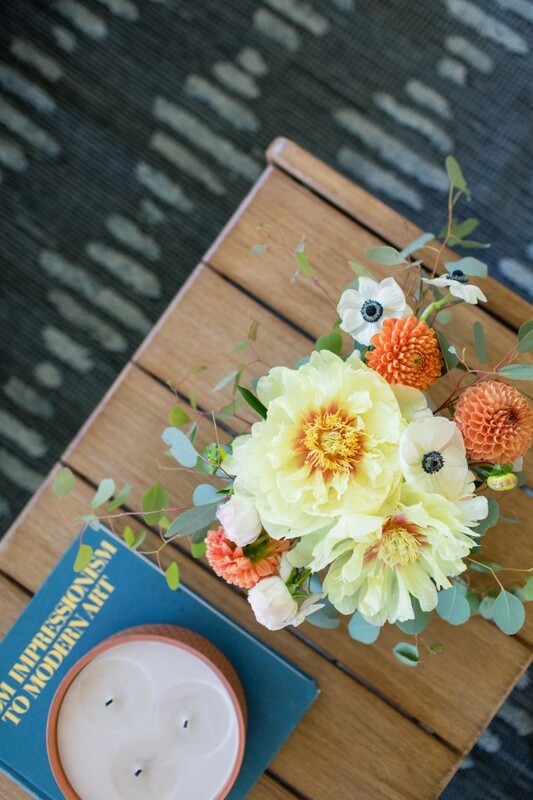 The photo was taken by Cami Parker and we’re all obsessed with the soft colors and beautiful texture! 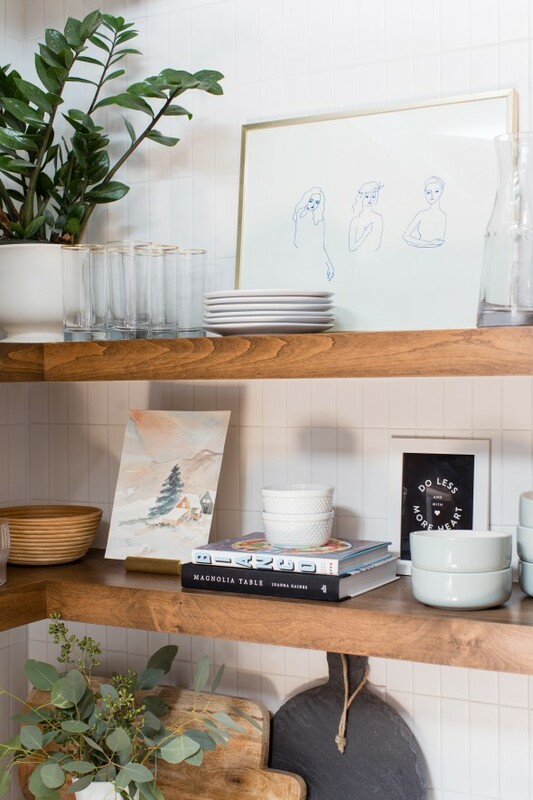 We just launched our Summer Lumbar Collection over at Juniper Home and although we keep selling out, we are doing our best to stay on top of inventory. We are consistently adding pillows to the shop, so if the pattern you love is sold out, don’t give up! :) Also, Jenna and I went to NYC this week to install a really cute bedroom for Real Simple’s Idea House and while we were there, we found a TON of new linen fabric patterns that we’re excited about, but I’d love to hear from you in the comments here or on our Juniper instagram feed what kind of patterns you’d love to see in our next collections! 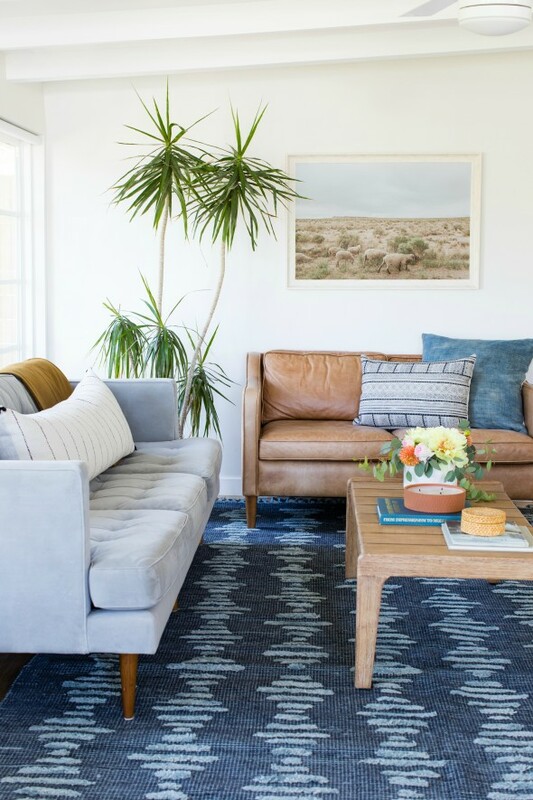 I love this textured indigo rug. 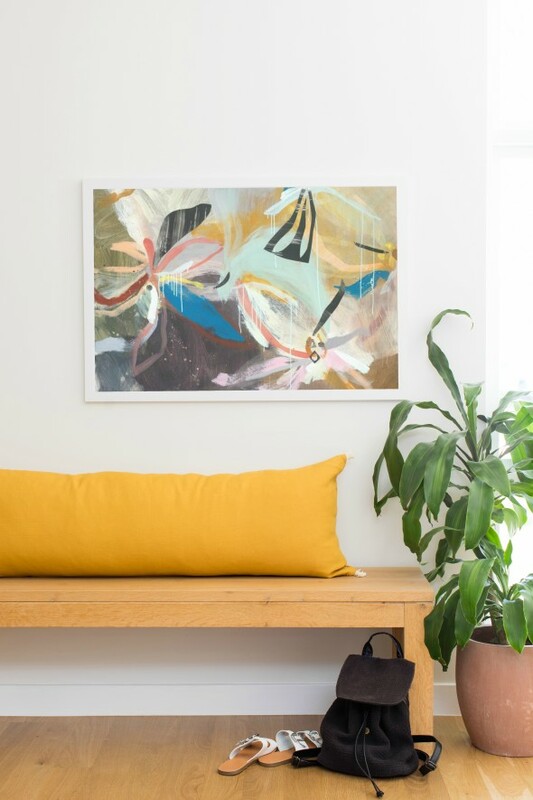 It’s only available in a 5×7 right now, but at this price, you could layer it with a jute rug and it would still be a steal! We used two of our Fog lumbars on the entry benches. I wish you could better see the pretty color and texture of this nubby linen! It’s a stunner! 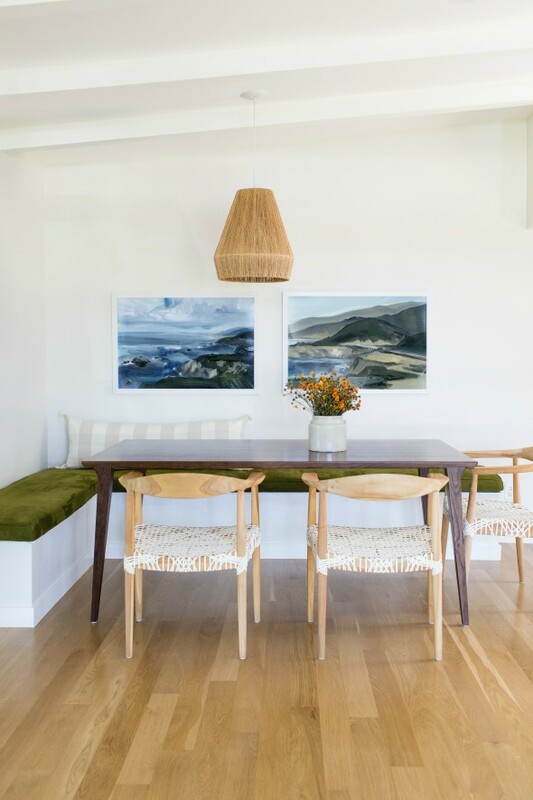 The dining room is another great space filled with light and texture! Aren’t the white beams everywhere amazing? We hung another new print here called Pieces by Kristina Akers. I love that it is subtle, but still has fun pops of color! 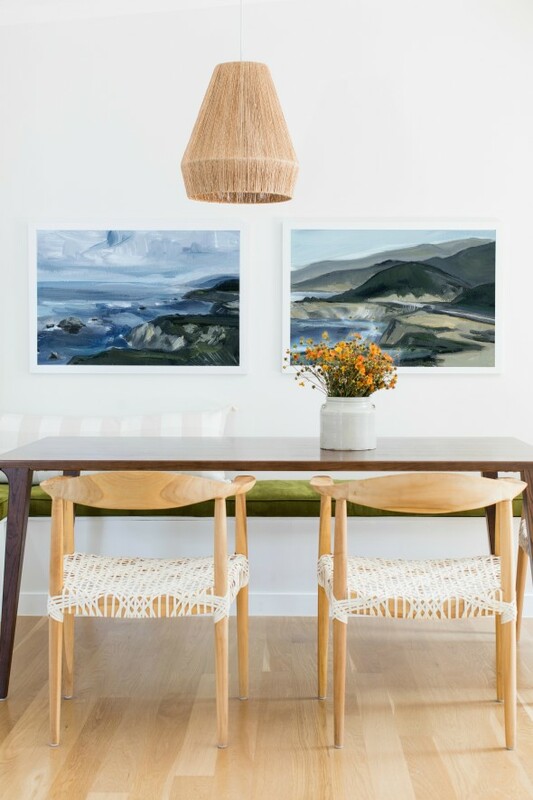 We hung Seascape I and Seascape II by LaurieAnne Gonzalez on the other wall. SOOO many of you have been asking for paintings of the sea landscapes and LaurieAnne really delivered for us (and you!). I am really loving the moody blue and green colors! I love that Haleigh and Scott chose white appliancesin their new kitchen. They are perfect for this modern home! We wanted to add a fun pop of color to the laundry room and WINK and our Marigold lumbar do just the trick! 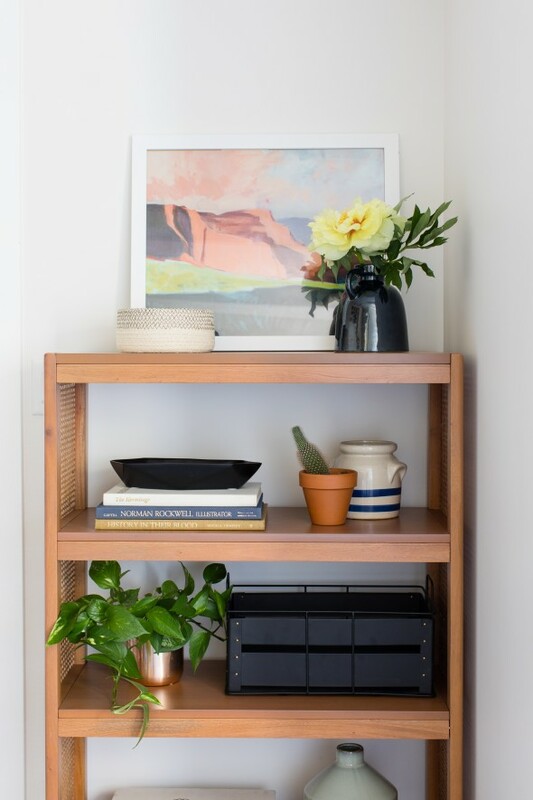 So many of you ask about where we buy our frames for our print shop prints (and you can check out this post for more info on printing and framing! ), but we are working on an updated post of where to buy our favorite easy-to-source frames. 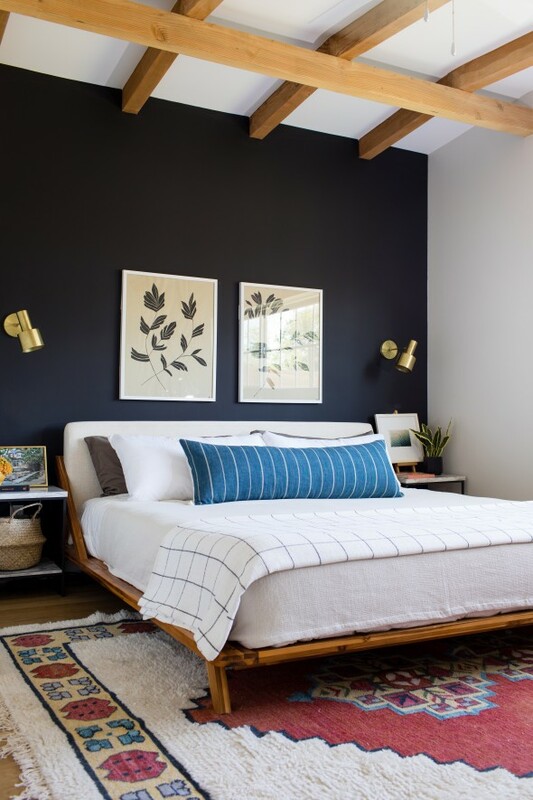 The master bedroom with that amazing black wall and those beams is one of my favorite spaces in the house! I love that Haleigh has our favorite platform bed! 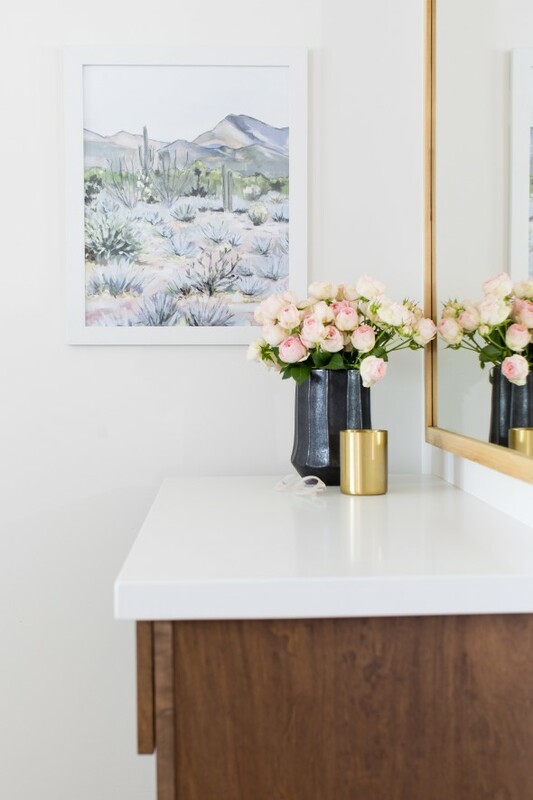 Our new Living Desert print is also by LaurieAnne Gonzalez (who painted the seascapes) and I love the soft colors in the master bathroom vanity area. 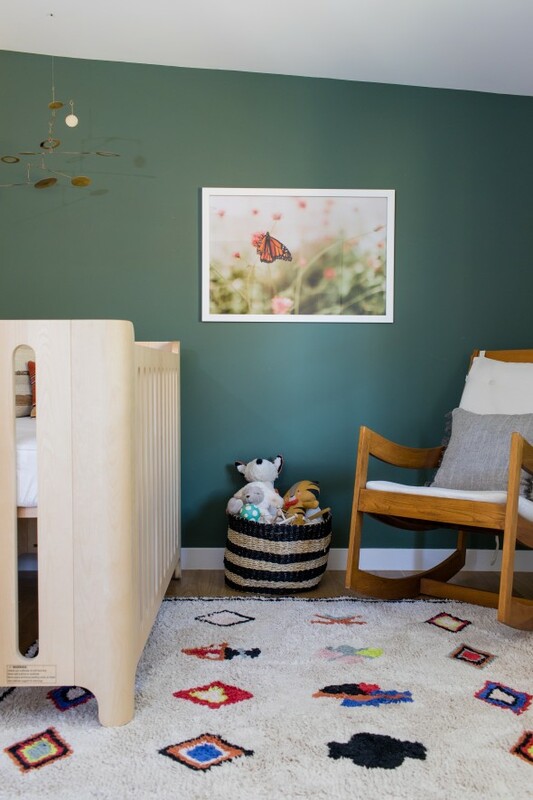 How AMAZING is this green paint color in the baby’s nursery!? The color is Benjamin Moore’s Caldwell Green (one of my personal favorites!) because it pairs SO well with light mid-tone wood stains. Also, how great is her rug? Get this – it’s machine washable!! Perfect for any space, but especially a kids room! A HUGE thanks to Haleigh and Scott for letting us shoot their beautiful home! If you’re looking for a great Airbnb in downtown Gilbert, be sure to check out the Park Haus! 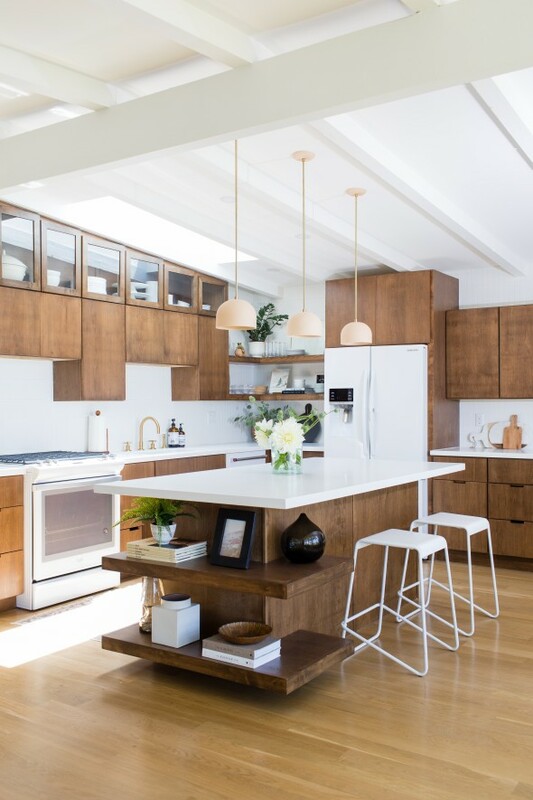 I have an obsession for pendant lights and Haleigh & Scott have chosen beautiful pendant collection for their house. The powder blue paint choice is risky as the walls are exposed to dirt and dust but is appropriate with the way they’ve put all together. I love the place and the photographs are crystal clear. Thanks, everyone! The wood flooring is beautiful? Where is it from? Lovely home! Whoa! This is absolutely magnificent! 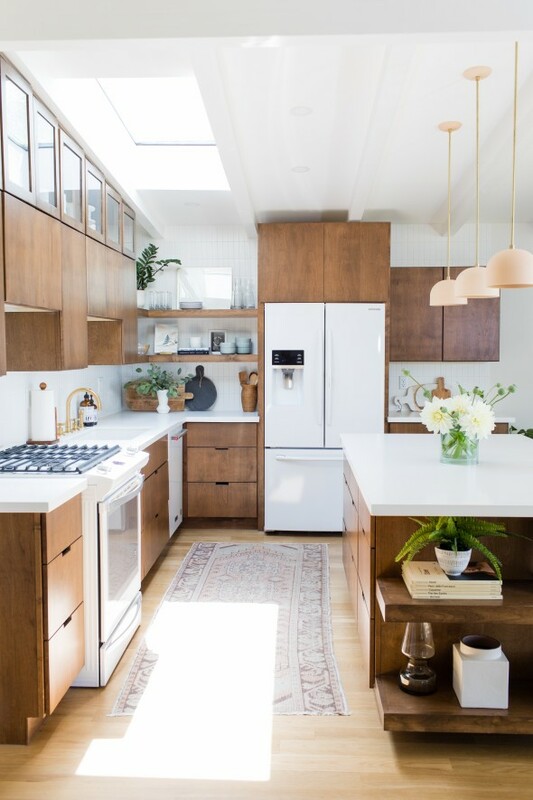 Love your art in the space…and the white appliances! Would you please share some information and sources on the roller blinds you mentioned in the stories? What a beautiful home! I appreciate how casual and comfortable it feels-just what I think the MCM ranches were designed and intended to do. This is close to my house and I’m just so tickled to see the gorgeous insides of this house! I’m so happy that people are revitalizing that neighborhood with all these to die for charming homes, the area is amazing! 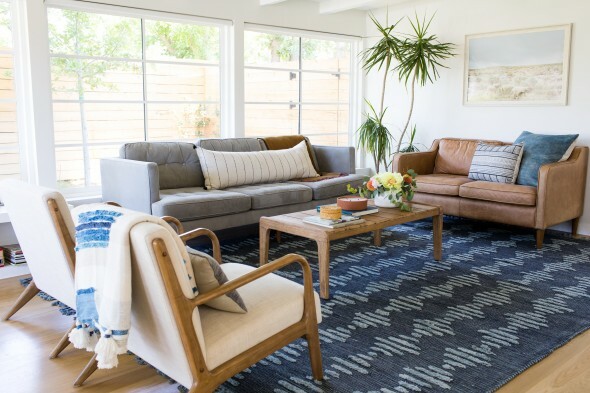 And I feel like I could use one of those indigo rugs in *every* room in my house…too much? Haha! May I please know tge paint color in the master bedroom? 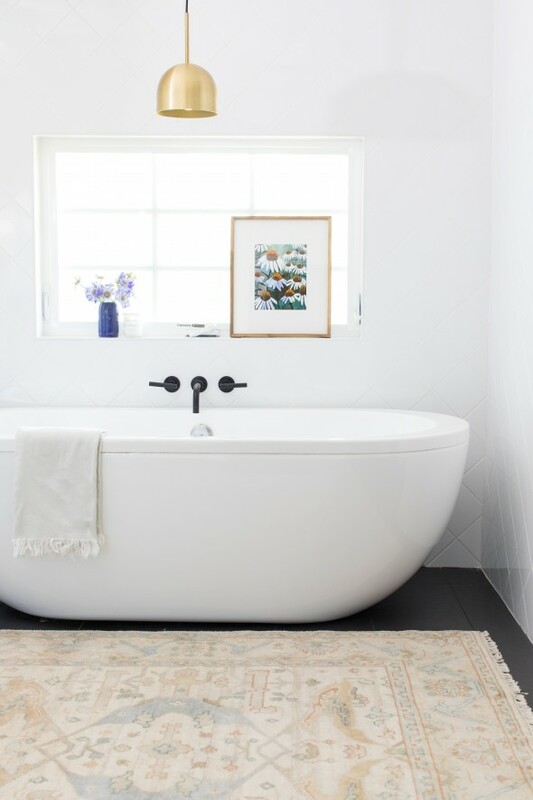 This is a custom color mixed by the homeowners, but Benjamin Moore Black Ink or Onyx are two close matches! I have had those bathroom towel hooks on my list, but can’t figure out how the vertical piece will be visible with a towel hanging on it? 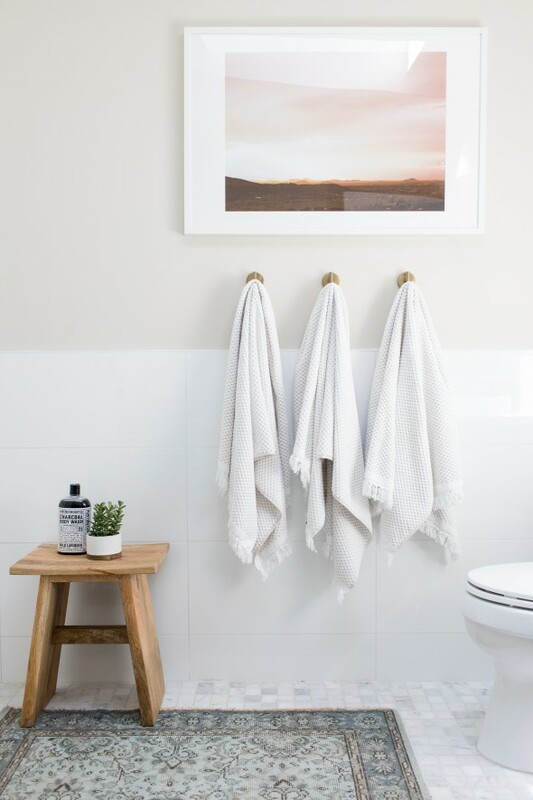 What magic are you using to hang those towels so that the fun verticals piece is still showing?! No magic here, haha! The hooks we linked are a slightly different style than the ones the homeowner used. Here is a version that will show the top piece, but they are a slightly different finish. Midwest-inspired Arizona landscaping makes me want to cry. The amount of water that it must take to keep non-native plants and lawn greens I can’t imagine. Absolutely love your blog. It has been a total life-saver when redecorating our apartment. There is truly no one else out there that creates this style, in an affordable way AND links everything to make it all accessible to everyone else. Thank you for what you do. 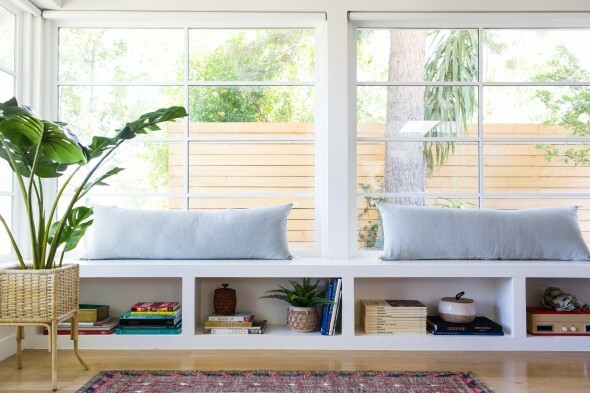 If you had a different orientation, what type of rug would you put under the dining table here? A lighter neutral? 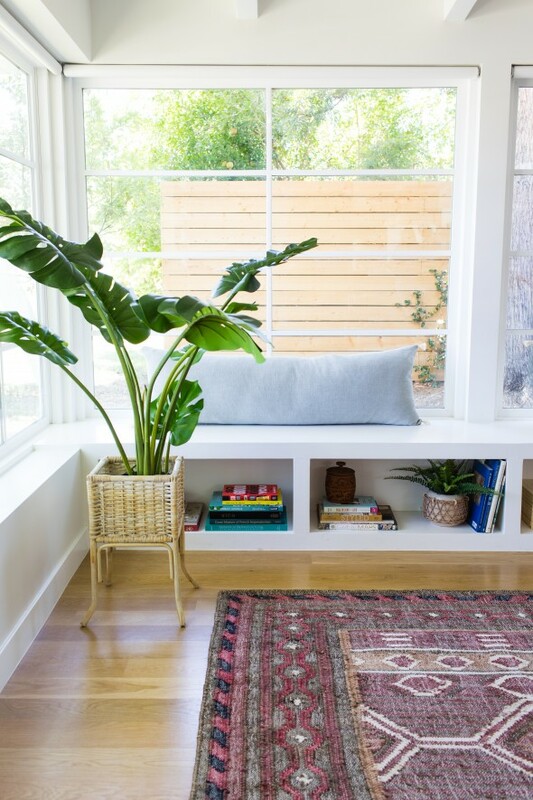 Love the inspiration, but having trouble imagining what type of rug would look best with that combination! Would love your advice. Do you mind sharing the paint color for the walls, trim and doors? The cabinetry is so beautiful. It’s good to see wood again! Hi! Love this one. I’m looking for similar bedding for a master bedroom, can you share where the long bolster pillow is from? ooh the window pane blanket on the master bed?? source please! 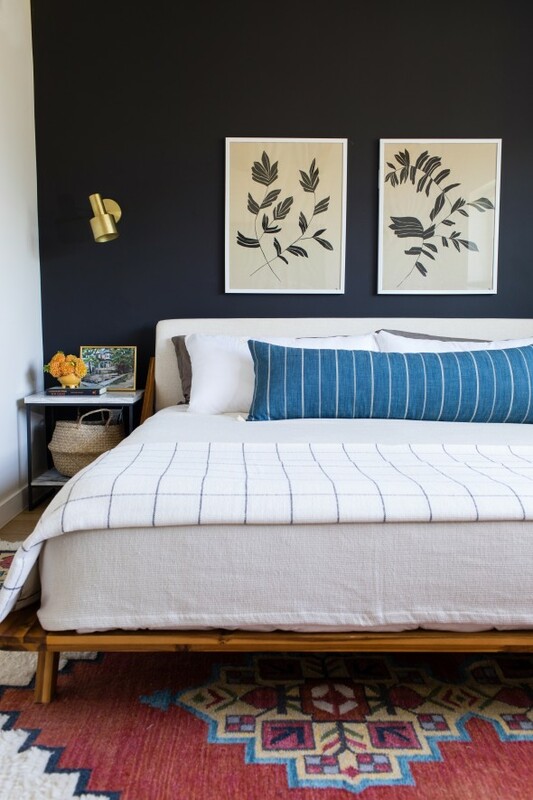 the link for the long navy and white striped lumbar pillow is not working- can you please share source? Thanks for all the yummy inspiration! Your team is amazing. Wondering if there was a link for the coffee table in the living room?! Kept searching for it but didn’t find anything! Hi Liss! The coffee table was a vintage find! Sorry about that. This home is so gorgeous! Can you share the paint color in the nursery?